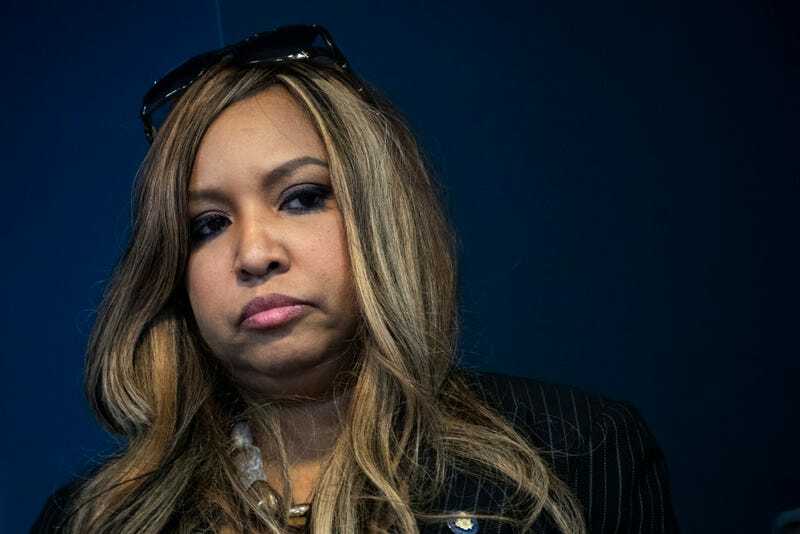 Lynne Patton, regional administrator for the Department of Housing and Urban Development and wannabe Real Housewife of PG County, decided to take time from her busy schedule hawking her right-wing reality show to add to the din of Republicans stoking the flames of bigotry against freshman Rep. Ilhan Omar (D-Minn.). Omar, the subject of right-wing attacks since her swearing-in this January, came under fire for her remarks on Israel, which were called anti-Semitic by the likes of Trump and Pence. After a tweet featuring video of Omar spliced with footage of September 11, Omar issued a statement calling attention to the uptick in threats against her life. Last month, Patton was briefly relevant when, while discussing Trump’s pattern of racist behavior and speech, cryin’ Rep. Mark Meadows attempted to offer her up as evidence of Trump’s lack of racism, history of his racism as a landlord be damned. Patton, one of the most prominent black woman within the Trump administration, was looking to her brief appearance as congressional token during the hearing of Michael Cohen to drum up network interest for a HUD-rejected show featuring herself along a host of “powerful black women” who voted Republican. Long forgotten by network execs and Americans alike, Patton posted a message to Instagram. In it, she mocked Omar for enduring a steady stream of death threats after a wave of Islamophobia, highlighted by Donald Trump’s tweets and comments. Patton’s post conveniently ignores the West Virginia propaganda targeting Omar, the bomb threat in Los Angeles, last week’s New York Post cover and the arrest for a credible threat made against her. Omar, whose unwillingness to capitulate to bigotry has earned her increased security for her family, must reconcile her remarks with her family’s safety. Patton, who claims to receive death threats and hate mail sent to her apartment for a job her boss seems to forget she has, thinks Omar’s safety is no big deal.